Library (2007) from The City series © by artist Lori Nix. Due to other work demands, I will be away from the blog until 25 February 2014. 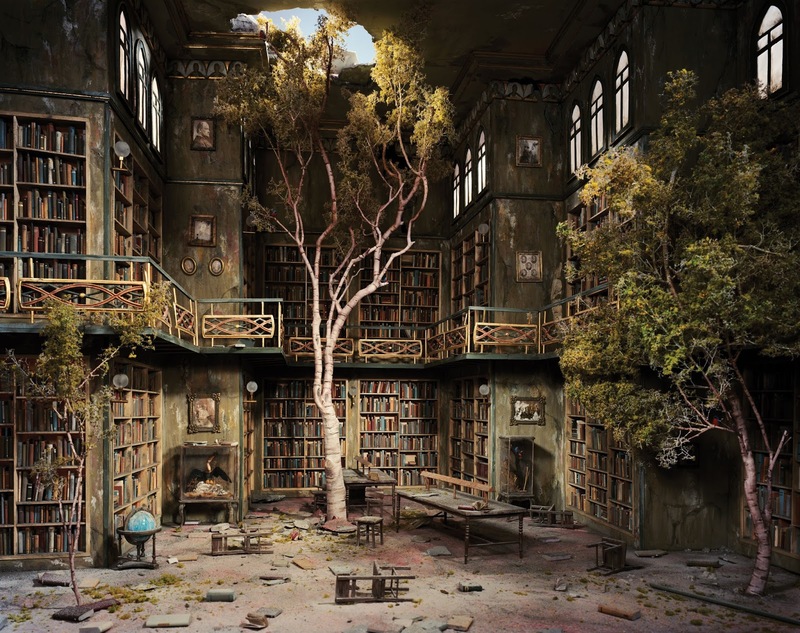 In the meantime, see some apocalyptic lost world dioramas from American Gen X artist, Lori Nix (Sources: Toledo Museum, L. R.'s Bizarre Bazaar, Slate and The Morning News). You can see more works by her here and her main homepage here.